Embarrassment is common in poker. Learn how to stop worrying about appearing foolish at the tables. Many home game players fear being embarrassed when playing in a casino. They shouldn't be. 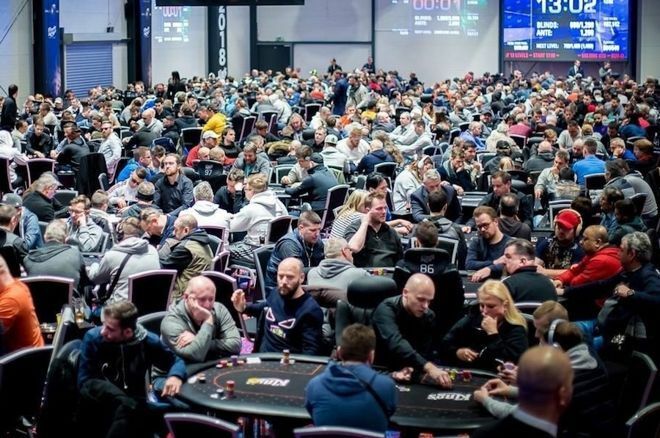 I was talking to some friends of mine recently about the World Series of Poker, having just returned from a week of playing at the Rio All-Suite Hotel and Casino. These were poker friends, people who love the game but who have never played poker in a casino, let alone in a WSOP event. They play in a regular home game, with the bets usually $0.25, $0.50, and $1. Though they were each very successful professionals and could easily have afforded stakes 100 times as high, this is the game they had always played, and this was what they were comfortable playing. I have occasionally encouraged them to venture out to Las Vegas to play, but they have always demurred. They each expressed the same reason for not going. They didn't want to embarrass themselves. It's a common emotion in poker — embarrassment. Players don't like to look foolish. They don't like to be judged harshly by others. And they even sacrifice winning opportunities because of it. Consider the following example. The game is $1/$2 no-limit hold'em. Three players call the big blind before it gets to the button. Everyone has about $300. The button is a young guy with sunglasses, a baseball cap, and earbuds, and after he flicks in a raise to $15 two guys call. The flop comes . It's checked around to the button and this time he tosses forward a bet of $35. One player calls him. The turn is another deuce, the , and the first player checks. The button bets $100. The first player calls. The river is the , making the board . The first player checks, the button bets $125, and the first player calls. The button mucks without showing his cards, conceding that the caller must have a better hand without the cards being revealed. It seems insane. Why do that? Why concede without showing? You're really so sure that your opponent had you beat that you will deny yourself any chance of winning by folding? Really? Maybe he called in error. Maybe he misread his hand. Maybe he thinks your bluff was weaker than it was. Maybe you are misreading your hand. Maybe anything. By folding you are sure to lose. By turning over your hand you at least have some chance of winning, even if it is a small one. The folder would probably say that he is keeping his opponent guessing. But by mucking without showing, your opponent will surely know anyway that you were bluffing with an extremely weak hand — in fact, one so weak that you were ready to concede on the river without revealing your hand. So where's the advantage there? In truth, there's really only one reason the button mucked without showing on the river. He was embarrassed by his pathetic hand and didn't want to demonstrate exactly how weak he really was. That's why he did it. And that's the same reason why many home game players don't want to play in a casino. They're afraid of being embarrassed. Being embarrassed is a strong motivator in poker. I've heard many players try to explain why they played a hand a certain way, intimidated by the thought that they will be considered a donkey if they don't justify their play. I've seen arguments break out over this, with a player who is insisting that his call made sense vehemently countering others' analyses. But here's the thing. It doesn't matter. No one cares. No one judges for very long. And if they do, their judgment is irrelevant. Someone has criticized your play, saying you should have folded to their bet. Enjoy the moment. The criticism means nothing. You are called on the river and are afraid you'll look foolish because of the weak hand you hold. Show your hand, anyway. You may have missed something. You have won the pot with a hand you didn't know you had. Don't be embarrassed for a moment. Congratulate yourself on not folding your winning hand. 1. Your newbie error will demonstrate that you are not an experienced player. Being thought a complete fool is not a bad thing in a casino. If they think you're a moron, in subsequent hands they will underestimate you and (often) the hand you are playing. This is usually a good thing. 2. Your rookie mistake is angering more experienced players. That, too, may be a good thing. If they're angry because of something you innocently did due to inexperience, it may throw them off their game, which is obviously a plus for you. And if they're really so good, why are they so easily thrown off their game? 3. They will blame you for losing a hand, citing your bad, inexperienced play as the cause. Any player who blames a bad player for his own bad play is exposing a leak in his own game, in part because it's a bad idea to smarten up other players who are making mistakes. Consider yourself fortunate to get the benefit of his thinking while possessing the skill not to make the same mistake he is making when you see bad play from your opponents. There are all sorts of things that you can legitimately be concerned about in a casino poker game. Are your opponents able to take advantage of your errors? Are they too tough for you to beat? Are you making the correct decisions? Do you have the bankroll to handle the swings of the game you're in? All are worthy questions highlighting reasonable concerns. But embarrassing yourself in front of other poker players should absolutely not be on that list. Don't let it affect your game, even for a moment.